"Based on the J frame, with the same wheelbase and track, it was made much lighter by omiting much of the chassis-boxing and cross-bracing, and was lowered considerably by the use of flattened springs. 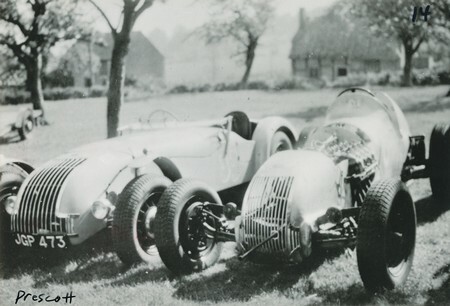 The two-seater body consisted of an aluminum shell mounted over a light tubular framework, and as first constructed without doors, these being added later when regulations governing sports car racing made them compulsory. 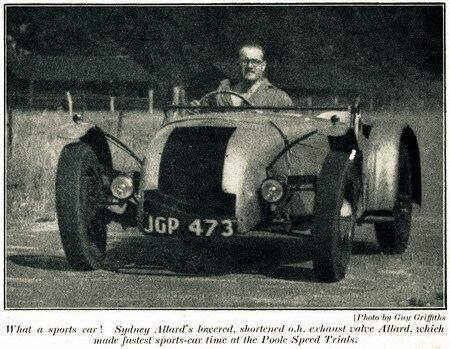 Following Sydney's usual weight-savnig formula, the car was fitted with two lightweight seats and remained untrimmed and while in his possesion. 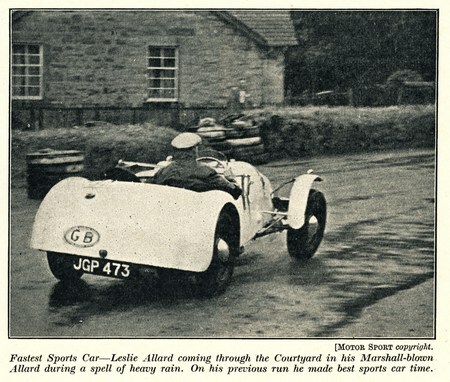 The engine* which had been removed from HLF 601 when Leslie took it over had been stripped and rebuilt ready for installation in the new car as Sydney reckoned teh extra power obtained, even for a short time, amply compensated for the work involved in replacing the head gaskets." 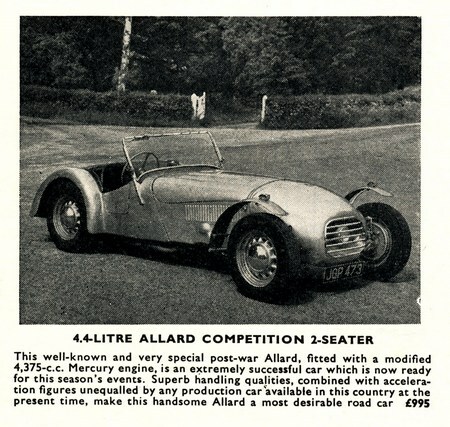 The car was very succesful breaking the sports car record at Prescott in 1948. Later, the car passed on to Leslie who continued to race the car with good results. At some point, the front end of the car must must have been damaged badly, because for For Sale photos of the car (via Chiltern Cars) show it with a completely different nose. The car was also fitted with a more liveable Mercury engine. We're not exactly sure what happened to the car, but it's thought to have been destroyed in a fire. *The engine featured a crude set of cast-iron overhead valve heads from America that predated the Ardun head conversion. These heads were prone to blowing head gaskets on a weely basis. Does anyone know where these heads may have come from?